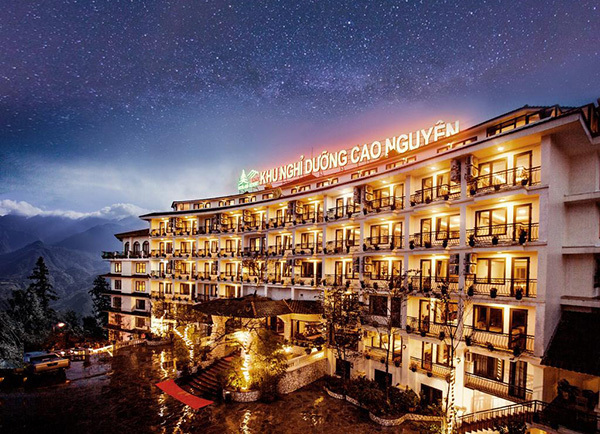 Before visiting Sapa, you should find where to stay in Sapa, Vietnam in order to choose the best accommodation for your trip. 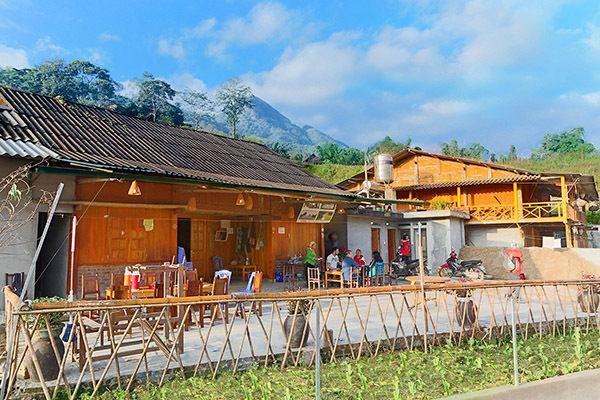 There are some types of accommodations in Sapa like Hotel, Resort, homestay, so it is easy to match your demand. Sapa is the small town in North Vietnam. In 1922, the French settled it as a hill station and after a long time, Sapa becomes attractive places for tourism in Northwest Vietnam. Besides the pretty town in the highland, Sapa is famous for many hiking and trekking routes throughout the mountainous terrain. Moreover, this is perfect for many outdoor activities and exploring the most unique and fantastic hill tribe villages in this regions. 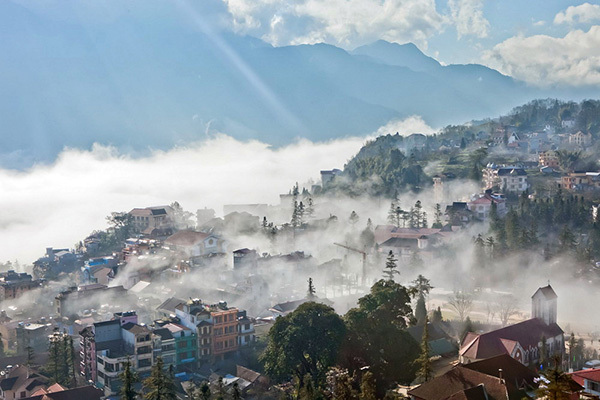 Spectacular scenes, incredibly welcoming locals, bustling markets, and small, mist-shrouded hotels are each a part of Sapa’s newfound renaissance. There are many standards of accommodations here from hostels to the luxury hotels. It is very easy for you to find the information and booking your services. 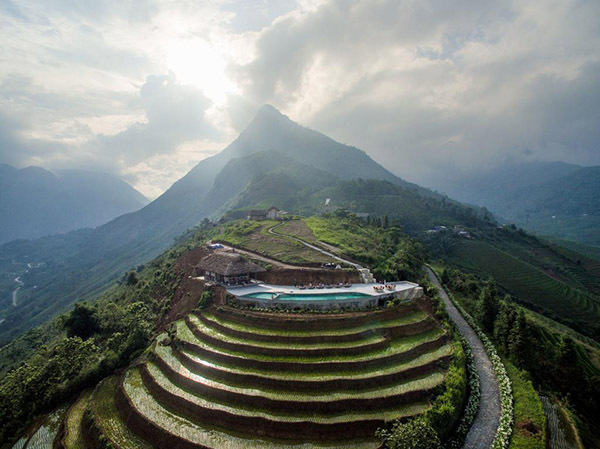 It is located in Muong Hoa valley with the favorable hillside position, overlooking the spectacular view of majestic mountains, moss-green rice terrace plots. 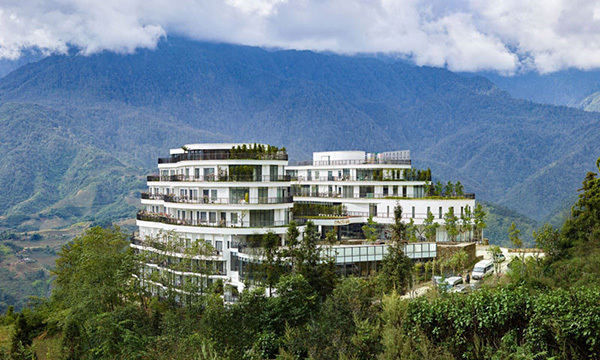 Pao’s Sapa has more than 200 rooms and suite from standard to premium with a lot of high-qualified services like gym, spa, swimming pool. 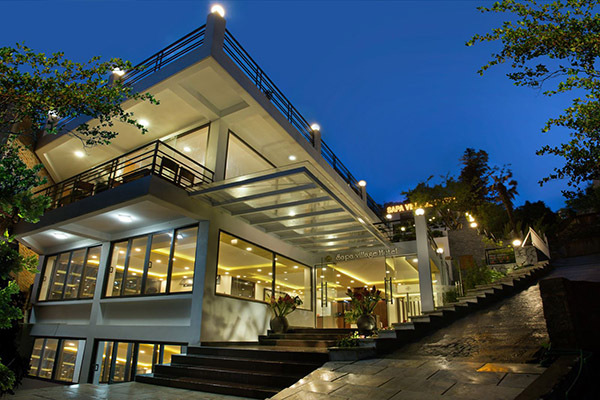 Sapa Highland Resort & Spa- located in Thac Bac street (Silver Waterfall Street). This hotel includes almost comfortable and modern facilities with the hospitality staff and the wide ground. 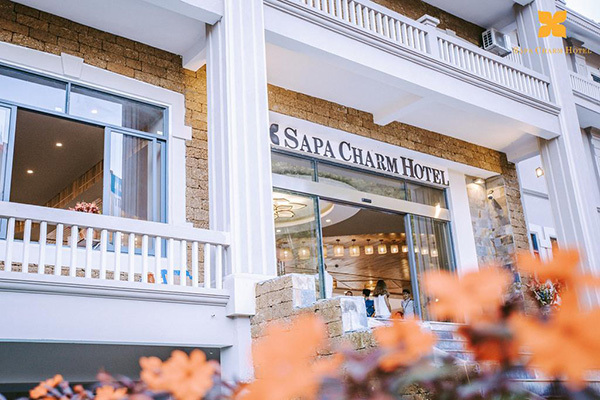 Sapa Charm Hotel is admired for its location, the charm, and comfortable facilities. It has the stunning and magnificent views over the Hoang Lien mountain range and you just spend 10 minutes walking to the center. With more than 150 international – standard rooms, you can choose the best suitable room for you and your family. This hotel is located at 520 Dien Bien Phu Tran, Sapa Town, you just spend 2 minutes walking from Sapa Lake. It is designed with Vietnamese traditional style and very intimacy with nature. 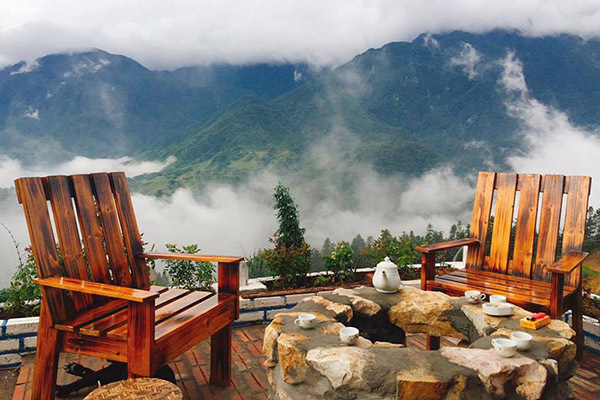 Sapa village is on a hillside which is overlooking the Rose Garden is extremely peaceful, and beautiful. Designed in a traditional style, intimacy with nature is located on a hillside overlooking the Rose Garden is extremely clear and beautiful. From the yard in front of each room, you can enjoy the amazing and spectacular mountain views of Hoang Lien Mountains range. If the weather is good, you can see the peak of Fansipan – The rooftop of Indochina. This hotel has more than 51 rooms which are fully equipped with the 3-star standard. If you want to close to nature or the local people, you can choose resort or homestay far from the downtown. Nowadays, you can be easy to find the suitable accommodations, depending on your distance which you choose the types of standard. Remember that, homestays do not the exact standard because they will depend on the regions and the customs of their hosts, so you can consider before booking them. It is a small resort situated on a beautiful hilltop deep in the mountains of Hoang Lien National Park. It is about 18km from Sapa center – only 45 min. Topas has 33 mountain bungalows with the rustic chalet-style single bedroom houses. They present a casual style with a private balcony for each bungalow. 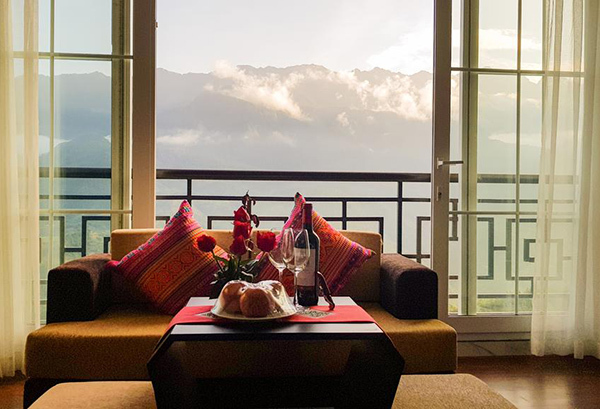 In Topas, you can enjoy the magnificent and spectacular view of the towering peaks with the endless valleys dotted with ethnic minorities’ villages. You can join some trekking tour around Topas, explore the local life and it is easy for you to get many experiences. Stay at the local homestay and enjoy the local life. There are two types of homestay. The choice is either a well-established luxury homestay with other travelers or staying in a traditional home. In both, expect to experience village life in all its glory. On the plus side, you will get some quality time with the wonderful ethnic group community. National homes are set within the famed rice paddies and have incredible views if the weather permits. On the downside, numerous travelers expect to be awoken early by roosters or livestock to get more experience. Analysis the information, you can choose towards the end of your exploration and decide which type of homestay you want to stay. Travel Sense Asia hopes you will choose the best accommodation which is suitable for your demand and your budget.